After planning a wedding for many months, the most important part of the experience is being able to enjoy your wedding day! How do you ensure this happens? You hire a professional wedding planner to make sure the day flows smoothly and the design comes together seamlessly. Getting married is without a doubt one of the most memorable and significant events in our lives. Having all events go as planned is everyone's dream. After going through this process over a hundreds times with my clients, I can testify with my own experience that having a wedding planner is key for a successful destination wedding. The difference between having a wedding planner or not having a wedding planner is night and day. The amount of stress, time and arguably money saved by the bride and groom, simply makes it a no brainier and I can not recommend it enough. Look at their work. Make sure you like their style. Talk to them, make sure there is good chemistry. A private wedding planner is not the same as an in-house wedding planner. 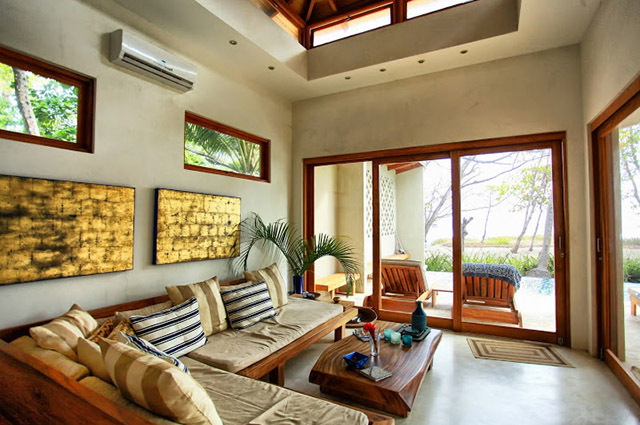 I highly recommend hiring a local planner who has experience navigating the unique challenges of coordinating events in Costa Rica, where timeliness is taken for granted, resources and access are fairly limited, communication is constrained to Spanish, and where the natural elements threaten to intervene. Local coordinators are uniquely qualified to put together a timeline that accounts for the rapidly changing light (since the sun sets much quicker near the equator), the hottest times of day, the incoming tides, and the seasonal rains. They'll make sure to schedule your ceremony when the sun is low enough to be comfortable for your guests, while still allotting enough time afterward for portraits during the best light. They know the best venues with the best service and food and will steer you away from the ones whose beautiful website photos carefully omit that their wedding ceremony spot is directly next to the volleyball courts. And they will be honest with you about why the hotels offer the best rates in September when the hotels themselves will not (hint: because it rains every day). Private wedding planners are different than in-house wedding and event coordinators at hotels and resorts. Private wedding planners specialize in weddings and usually have more experience, great relationships with the local wedding vendors, and the attention to detail that can be overlooked by hotels. Make sure your wedding day is everything you wanted by enlisting a professional to take care of the details and handle all of the logistics! 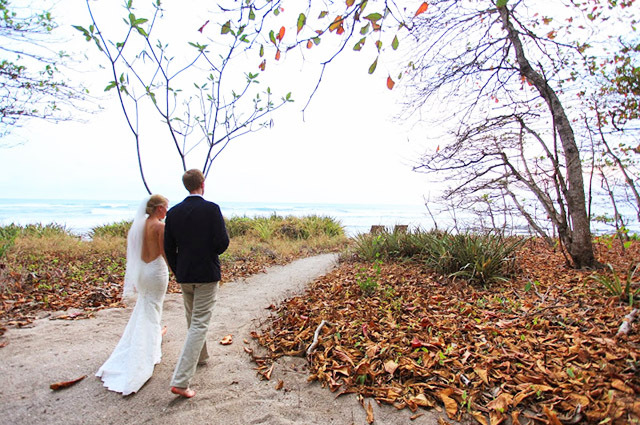 Noyes and Brandon opted for the beautiful beaches of Santa Teresa for their seaside elopement in Costa Rica. 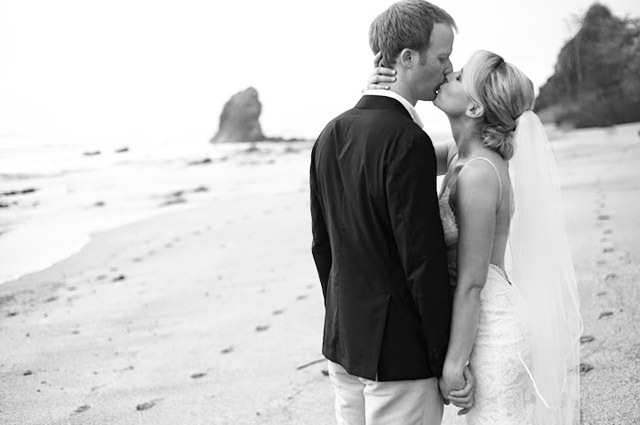 In order to share the day with friends and family, the couple hired Jennifer Harter to document their intimate ceremony on the beach. Read below for photographer Jennifer's insider advice on why an elopement might just be perfect for you. Some people don’t dream about a big dream wedding. Some couples are more reserved, quiet and happy having a wedding with just the two of them. I prefer elopements too, and as a photographer they are my favorite. There is something very special about a couple running away somewhere beautiful to get hitched with no one else around. 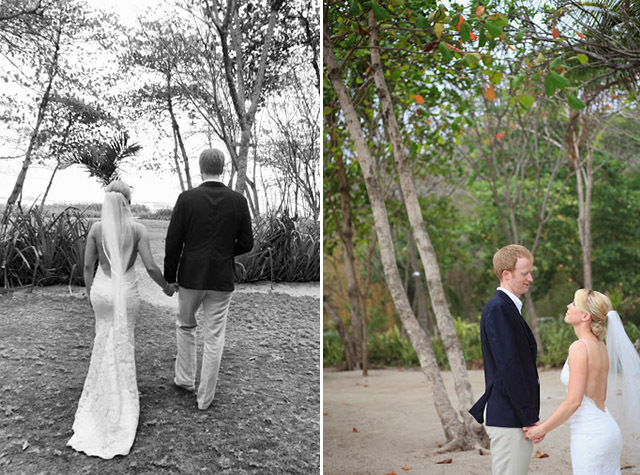 Elopements are romantic, relaxed, and stress-free. They about remembering exactly the things you should have on your mind - a union between two hearts. As a photographer I am crazy about elopements because each couple is able to enjoy each other, be present in the moment, and feel no rush during the day. And if you are worried about excluding friends and family, find yourself the perfect local photographer to document the day with stunning photos to share. If you are trying to decide if eloping is right for you just remember to do what feels the most comfortable to you, even if that means a tiny wedding with just you two. 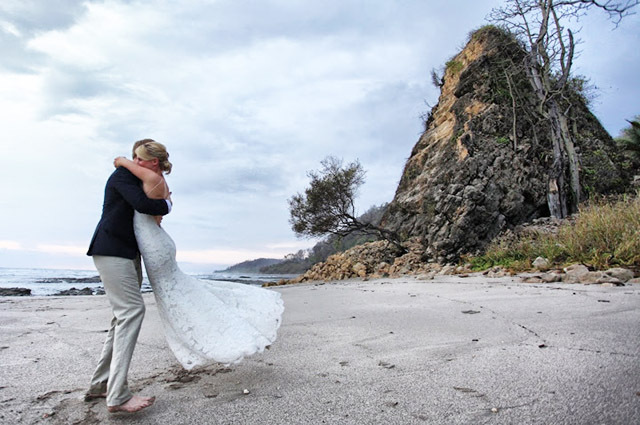 Jessica and Ashton wanted to exchange their vows in complete privacy, so they walked north to the end of Playa Grande where there is a beautiful rock formation. They stood underneath a handmade dream catcher made by Jessica's father as they said their I do's. The two fathers held up the dream catcher and all of the guests surrounded the couple for the ceremony. It was a touching display of unity and love, as the guests were all a critical part of this bond that the couple shared with one another. 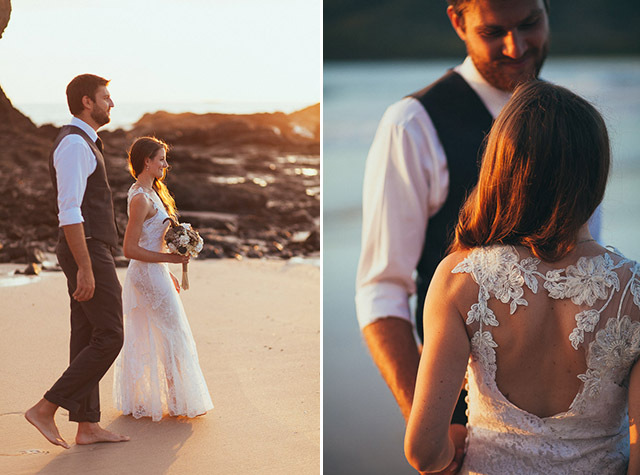 Jonathan of Costa Vida Photography says this is a great example of why you should not be afraid to travel off the beaten path on your wedding day. It is easy to get married on a popular beach near everything, but then you risk not only having multiple beach-goers in the background of your photos, but also the overall disturbance of people moving, talking, and walking around your ceremony. Jessica and Ashton were able to experience a purely private ceremony away from the distraction of everything else, which made for the perfect destination wedding.